Andrew Symonds has been left out of Australia's 16-man squad for the Ashes series against England. The 33-year-old missed out on a place despite being tipped for inclusion by captain Ricky Ponting. 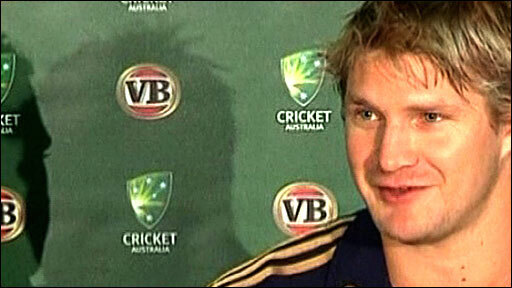 Shane Watson and Andrew McDonald were preferred for all-rounder spots in the squad, although Watson must undergo a fitness check before the tour. Nathan Hauritz is the only specialist slow bowler and one of 11 players who will be making their first Ashes tour. As expected there were recalls for pace bowlers Stuart Clark and Brett Lee, who have missed most of the Australian season through injury. But they are not certainties for the Test XI, with Mitchell Johnson, Peter Siddle and Ben Hilfenhaus having impressed on the recent tour to South Africa. South Australia wicketkeeper Graham Manou is the only uncapped player in the squad and will provide back-up to first-choice Brad Haddin. Chief selector Andrew Hilditch said the squad contained an "exciting blend of experience and youth". He added: "We expect the Ashes to be an exciting and riveting encounter, consistent with the great tradition of rivalry between England and Australia. The omission of Symonds provided the main talking point, even though it is only five months since he was fined by Cricket Australia over a remark he made in a radio interview - the latest in a history of off-field disciplinary problems. The day before the squad announcement, Ponting said: "I wouldn't be surprised if he's named. 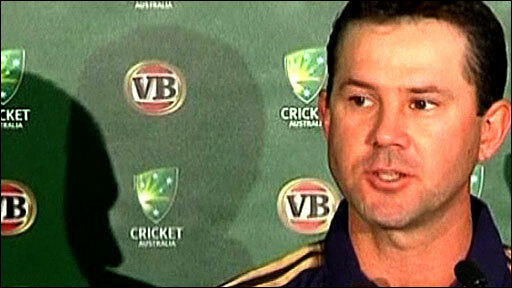 Following the announcement, however, Ponting insisted Australia had picked the strongest squad for the task ahead. "The guys that have come in have grabbed those opportunities with both hands and given themselves every chance to be picked for future games." Ponting played down the significance of England's 2-0 recent win over West Indies, saying: "I can guarantee that they'll be facing a stiffer opposition than the West Indies when we arrive.". But he continued: "England will be a very stiff and tough opposition, we know that, they always are when we play against them. "The last series out here in Australia was a 5-0 result to us but it could've been a whole lot different had we not done some exceptional things. "There's one thing on my cricketing resume that hasn't been achieved yet and that's being captain of a winning Ashes series in England. That's something very dear to my heart." Watson, meanwhile, was overjoyed to have been included in the squad. He is currently suffering from a groin strain which Hilditch said was "not expected to be a serious issue". And Watson commented: "I am really stoked that I have been given an opportunity over Andrew. "It's been a bit of a battle, I replaced him during the (last year's) Indian tour and then missed out during the summer here for the first few Tests. "Of course, it's bitter-sweet because I love the opportunity of playing Test cricket for Australia and you feel for one of your mates if he doesn't get picked. "But I will definitely be making the most of it and having a lot of fun." One player who was always certain to feature in the squad was left-handed opener Phillip Hughes, who has been hugely impressive this season batting for Middlesex. "I am a little bit worried that he's scoring so many runs and I would like him to keep a few in the bank for a little later down the track," said Ponting. "But he's impressed everyone with the way he's gone about his cricket, whether it's for New South Wales, Australia or Middlesex." The five-Test Ashes series starts in Cardiff on 8 July. Full Australia Ashes Tour squad: R Ponting (c), M Clarke (vc), S Clark, B Haddin, N Hauritz, B Hilfenhaus, P Hughes, M Hussey, M Johnson, S Katich, B Lee, G Manou, A McDonald, M North, P Siddle, S Watson.